What Does NCLEX Stand for and What is it? NCLEX stands for National Council Licensure Examination, which is developed and kept current by the National Council of State Boards of Nursing (NCSBN). There are two forms of the examination: One for registered nurses (NCLEX-RN) and one for practical nurses (NCLEX-PN). These examinations are used by the boards of nursing in each state or territory for licensing entry level nurses at the two levels upon completion of their studies. NCBSN provides detailed information about each examination, both on test content and testing procedure. The graduating student who wants to prepare for the examination will be guided in study by the explanations given in the “Detailed Test Plan: Candidate Version.” This testing plan document will cover the information for registered nurses for the new examination for 2018. The Detailed Test Plans list the content covered in the NCLEX examination plus the activity statements for each test category and subcategory. They give the proportions of items covered in the examination for each content area. They also provide sample test items so that nursing students can see how nursing knowledge and skills are assessed. Included in the Detailed Test Plan is a comprehensive explanation of the test format, which is called computer adaptive testing (CAT). CAT is a technologically advanced procedure that individualizes the test and testing procedure according to the knowledge level of the examinee. 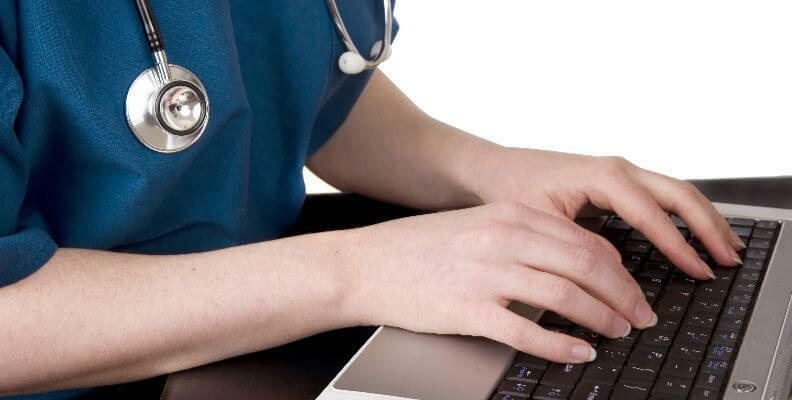 Unlike the group testing procedures using a standard examination that all examinees take, the NCLEX taker sits at a computer and responds to the specifically tailored instructions and test items given by the computer. The computer adapts the test and selects each subsequent question based on how the examinee has answered the prior questions. When the true competence level of the examinee is established, the test session is over. This can be accomplished in a short duration or may take as long as five hours. The student may have specific questions about the examination, and this FAQ answers such questions as “Does NCSBN use generic and trade names on items with medications?” On this same FAQ, clicking on the question “What is an alternate item format” gives a detailed answer of the types of questions asked on the examination, which includes the use of multimedia. A tutorial is given to each examinee at the beginning of the test that will explain and give examples of the kinds of formats included in the examination. The NCLEX content areas covered in the examinations for both registered and practical nurses cover the same four Client Need categories. These categories and subcategories are given here with the percentages of items covering each area for both examinations: the first figure for RNs; the second for PNs. There are numerous websites providing study aids and practice NCLEX items free or for purchase. Nursing students would do well to first access the NCBSN information sources to become thoroughly familiar with the examination content and process and then use the NCLEX study aids provided.